We all know winter is a drag when it comes to doing chores and tending to animals so I thought I’d put this list together of some of items I use to make the experience a whole lot more enjoyable (and warmer)! Heated water buckets will keep your horse’s water from freezing solid in their stalls. They run from $35 – $50 dollars a bucket. Water trough de-icers will keep your outdoor water bins from becoming a solid lump of ice. Electric radiant heaters can be hung from the ceiling or placed on the ground and raise the temperature a few degrees without using expensive propane. Please note these should never be left unattended. Get all these things and more with a quick stop at TractorSupply.com. There’s nothing worse than frozen wet toes. Keep the chill outside with a pair of waterproof mucking boots from the company that takes mucking seriously, the Muck Boots Company. Their shoes are waterproof and come in a variety of colors and styles to suit your needs. They have a sturdy rubber sole and provide great arch support. By far the best mucking boots I’ve tried although they are a little pricey ranging from $60 – $150. These will make it super easy for you to walk on the ice and snow. They’re only $40 plus shipping and handling and often you can find them in the winter aisle of your local farm store or co-op. They fit on any type of sneaker or muck boot, just make sure you get the right size. Want a pair without the search? Grab them today from yaktrax.com. Need hot water but don’t have a hot water heater in the barn? No problem! Buy one of these for $100 and you’ll have boiling hot water in just about 2 minutes flat. Simply fill it up and plug it in. 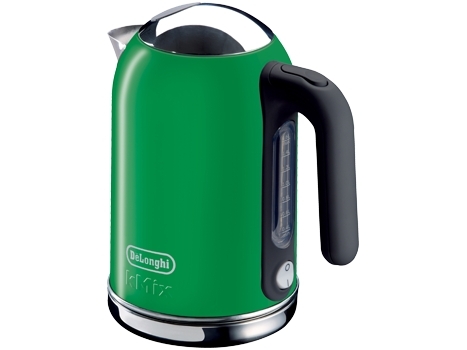 This is my favorite electric teapot by Delonghi. I absolutely love these! Shove them in your gloves, your pockets, or the toes of your boots and you’ll get hours of warm heat wherever you want it. You can get a small pack or a large box and they’ll keep for ages and give you long lasting comfortable heat without the risk of starting a fire. You can usually find these in ski stores or sporting goods stores. It’ll keep your ears warm and when you’re not wearing the face mask it acts like a scarf around your neck for some extra warmth where you need it. They range anywhere from $8 to $25 but you can get this cute one for $10 from aliExpress.com. So I haven’t tried these yet but they are on my winter wish list! The Pirit Series II hose starts at $90 and goes up depending on the length you’re looking for. Simply hook it up and plug it in and you’ll get water that doesn’t freeze and clog your hose saving you both time and energy doing your daily barn chores.